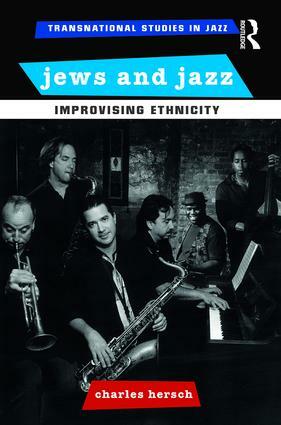 Jews and Jazz: Improvising Ethnicity explores the meaning of Jewish involvement in the world of American jazz. It focuses on the ways prominent jazz musicians like Stan Getz, Benny Goodman, Artie Shaw, Lee Konitz, Dave Liebman, Michael Brecker, and Red Rodney have engaged with jazz in order to explore and construct ethnic identities. The author looks at Jewish identity through jazz in the context of the surrounding American culture, believing that American Jews have used jazz to construct three kinds of identities: to become more American, to emphasize their minority outsider status, and to become more Jewish. From the beginning, Jewish musicians have used jazz for all three of these purposes, but the emphasis has shifted over time. In the 1920s and 1930s, when Jews were seen as foreign, Jews used jazz to make a more inclusive America, for themselves and for blacks, establishing their American identity. Beginning in the 1940s, as Jews became more accepted into the mainstream, they used jazz to "re-minoritize" and avoid over-assimilation through identification with African Americans. Finally, starting in the 1960s as ethnic assertion became more predominant in America, Jews have used jazz to explore and advance their identities as Jews in a multicultural society. Charles Hersch is Professor of Political Science at Cleveland State University. He is also the author of Democratic Artworks: Politics and the Arts from Trilling to Dylan and Subversive Sounds: Race and the Birth of Jazz in New Orleans. The field of New Jazz Studies has emerged out of traditional modes of musicological inquiry, with an increasing number of scholars examining jazz as a discursive cultural practice. Drawing on a range of disciplinary perspectives, New Jazz Studies has begun to promote a multiplicity of canons, exploring the overlapping and exchanges between different countries and cultural groups and challenging existing modes of understanding. Transnational Studies in Jazz presents cross-disciplinary and international perspectives on the relationship between jazz and its social, political, and cultural contexts. While supporting ongoing research on American themes, artists and scenes, Transnational Studies in Jazz also seeks to develop understandings of jazz in different contexts, approaching the American influence - as well as the rejection of America - through analysis of international discourses and local scenes. Through US, UK and international contributors, jazz would be understood not only as a sonic form or subject of artistic expression and analysis but also as a key social and political agent in the development and exchange of culture.